Designer two-tone wedding ring with enamel. 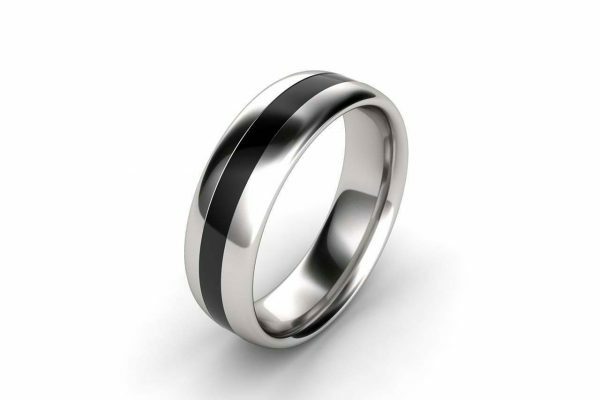 This men’s wedding ring is chic and masculine. 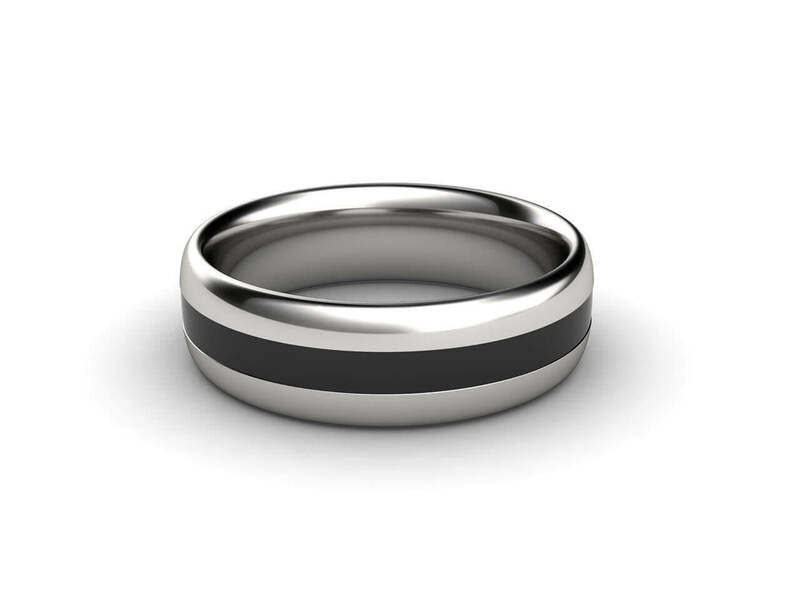 The band is designed and created in Melbourne using 18k white gold and stylish black enamel. The timeless style combines the allure and charm of white gold with the virile element of black enamel. It is an unpretentious design of three stripes. It is stylish and modern without being lurid. The style will complement other wedding and everyday jewellery for daily wear.